Cork Independent recently announced that The Deputy Mayor of Cork is pushing for a .cork Domain to help promote local businesses and online sales. Current Online spending in Ireland is a staggering 4bn a year, but the issue with this is that 75% of it goes to overseas companies and venders. Companies with .com .co.uk, and even .ie can be from abroad, where as .cork if properly regulated can be used to assure the customer the origin of the purchase and the locality of the service. A domain such as .com is officially known as a gTLD generic Top Level Domain. As domain names have become scarce over the years, a new way of naming domains had to be created. 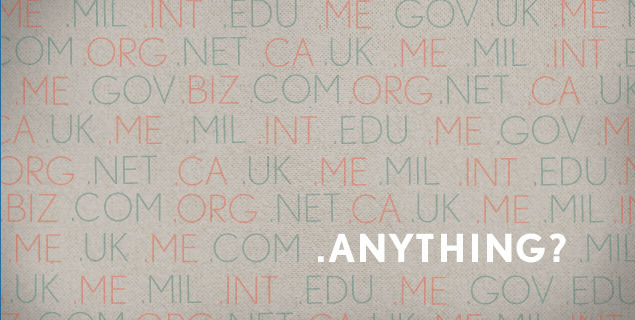 There are currently 22 gTLD’s such as .com .net .gov .ie .eu. ICANN’s (The Internet Corporation for Assigned Names and Numbers) aim is to promote competition, branding, consumer choice, localisation, Digital marketing and innovation while ensuring the security and stability of the Domain name system (DNS) with the new plan for gTLD’s and people wanting to register a unique domain will have to go through an application process. 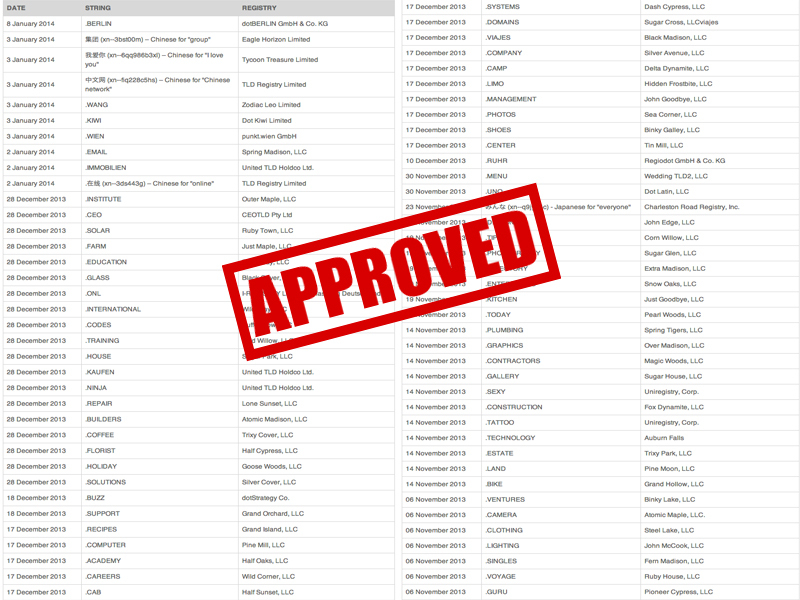 The application window recently opened on Jan 2012 and a total 1,930 applications for new gTLD’s have been received. By March 2013 we saw the initial results of the process and in Aug 2013 the public saw the new gTDL’s that were deemed “eligible”. So what are the benefits of unique domains? Entrepreneurship. Create your own business model and establish accessibility policies for your TLD. If your customers want tighter security, make your TLD a high-security zone. Increased control. You set the rules and the price for those registering your TLD. Innovative marketing opportunity. Build better brand definition, brand awareness, brand loyalty and trust by having full control over your own TLD. Internationalised Domain Names (IDNs). Increase market reach by making the Internet completely accessible to users whose local languages use non-Latin characters. Engage your community. Create a rallying point for supporters of your cause, community or culture to unite with a community-based TLD. Bring together your geographic area. Celebrate your local citizens, commerce, activities, and culture with a geographic TLD. Overall the theory of a .cork is good within itself, but you really have to ask the questions is this just clever P.R to grab the headlines of being on the pulse of web technologies or has this been planned out and will be a serious proposition to localise, unify and benefit the people and city of Cork. Leading Cork IT companies Digital Crew and Granite Consulting have joined forces following close collaboration and the international success of the project management software, TeamworkPM developed by the software development team at Digital Crew. Digital Crew have signed a takeover agreement with Cork firm Granite Consulting who will take over the running of the web development side of the business following close collaboration between both companies over the last two years. Under the Agreement, Digital Crew will focus on its highly successful TeamworkPM business which has rapidly expanded over recent years while Granite Consulting will take over responsibility for all website development with the core website development team at Digital Crew joining the Granite Consulting business. Today marketing in relation to social network sites can be used in conjunction with a strong web marketing campaign to further promote your product or service. Through the development of facebook applications you can gather a large number of followers and provide these followers with relevant up to date data. How your company is presented on Facebook and the information you present to people is extremely important. Are your posts relevant enough for people to share them and to make them click through? Do you require extra functionality for a competition or advert? We have developed Facebook Applications for a range of our clients including Leisure World Cork. Remember you don’t have to have an existing website to create a great facebook application. If you have an idea for a facebook application, why not contact us to discuss it further? A SMALL West Cork company with big plans, Granite Consulting aims to become one of the top five online marketing companies in Ireland and to establish itself in the UK over the next three years/ by 2012. Set up a little less than two years ago, not long after the recession set in, the company has it’s sights on the international online marketing market which has continued to grow at a rapid rate despite the recession. Granite CEO Conor Buckley says there has been growth in the Irish market for online marketing which is now worth €100 million while the UK market has grown to £3.5 billion and the European spend on online ads has increased to €14.7 billion. “During December 2009, the total worldwide search market had more than 131 billion searches – this equates to 4 billion searches per day, 175 million per house and 2.9 million per minute” reveals Mr Buckley who says that at this point almost anyone who is selling a service or a product anywhere in the World needs a web presence and an online marketing strategy. The services offered by Granite include search engine optimisation and multi-lingual search engine optimisation. “Our company uses a blend of marketing, technology and analytics to ensure our clients are found first for the terms their customers are searching for,” says Mr Buckley who believes that the web offers huge opportunities for companies to get into new and emerging markets at a small cost. companies who wanted to increase their online sales’’ says Mr Buckley. Giving up their jobs at myguideTravel the four entrepreneurs used their own funding to set up Granite Consulting which has an office in Skibbereen and one in Mahon in Cork. The company was in the fortunate position of having two or three customers from the start including myguidTravel and a company in the renewable energy sector which had previously looked for help with online marketing. The majority of Granite’s first customers were based in Cork but this year it has begun to move into Dublin and now has a small number of clients in the UK. Some of our customers include Enterprise Ireland, the Kilkenny Group, the Fastnet Line, the Moran Hotel, Weco International and West Cork company Ceramicx, for which Granite markets products in ten languages. “We are doing some proof of concept work with three a large engineering company in Ireland and two manufacturing companies in Manchester and we have run campaigns in the UK, USA, France Germany and Japan,’’ reveals Mr Buckley. Now employing six permanent staff, and two part time ones, the company is aiming to recruit two more staff. One of eight finalists for this year’s National Enterprise Awards, Granite has been supported by the West Cork Enterprise Board, which has provided some funding and helped with it’s a business plan. This year the company expects to see an 80% increase in turnover. Next year Granite will focus on expanding the business in Ireland with a view to breaking into the UK market in 2012. In subsequent years the company plans to push out into the European and US markets.